Daniel Roth got his start in the watch business working as a designer for Breguet. He started his eponymous brand to build signature watches. 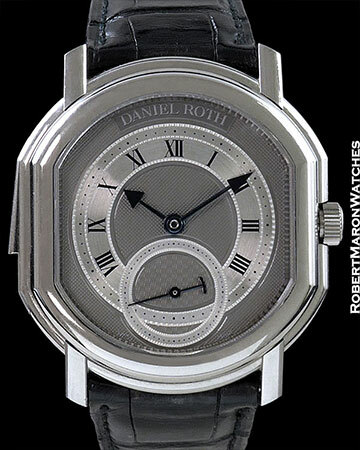 The stylistic cornerstone of the Daniel Roth brand watches is the Double Ellipse case. This case shape is not only interesting, it is also very comfortable. Serial number of this watch is extremely low. Case is 39mm long by 36.2mm wide by 7.7mm thin. Sapphire front and display back crystals. Minute repeater slide on the 9 o’clock case side. 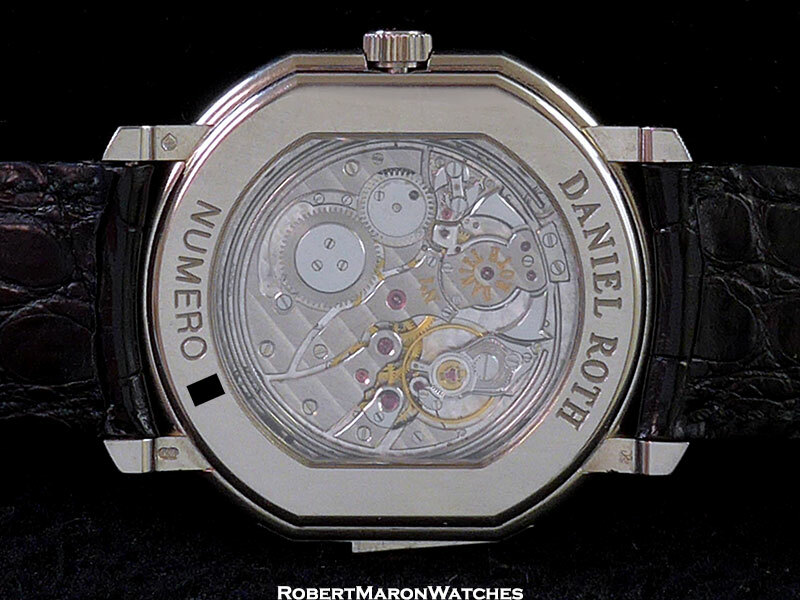 Dial is ruthenium with silver plated chapter rings for the time and subsidiary seconds. 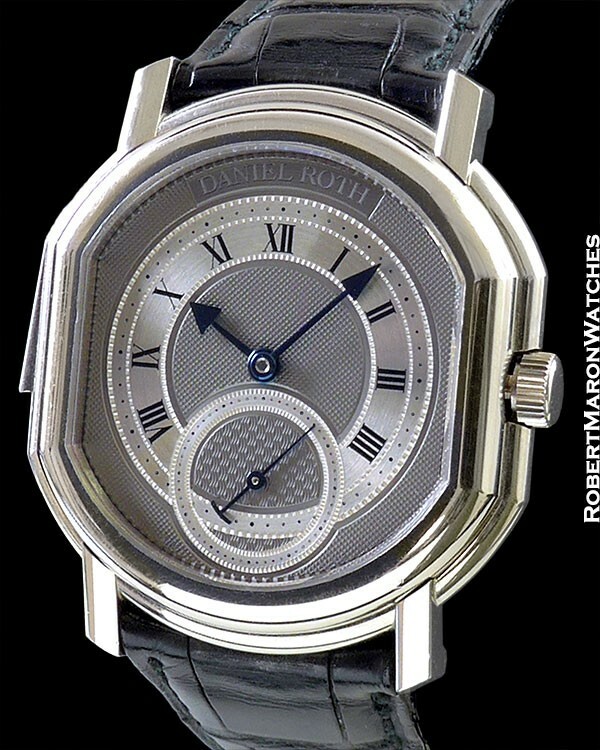 The remainder of the dial is graced with hand-engraved guilloche. This look is very Breguet. Hands terminate in large arrow heads except for the subsidiary seconds hand, which is of proprietary design. Hands are blued. Movement is a Gerald Genta base caliber 13000 modified by Daniel Roth, with 37 jewels, 45 hour power reserve and, of course, the minute repeater complication. Black leather strap with 18k white gold tang clasp. 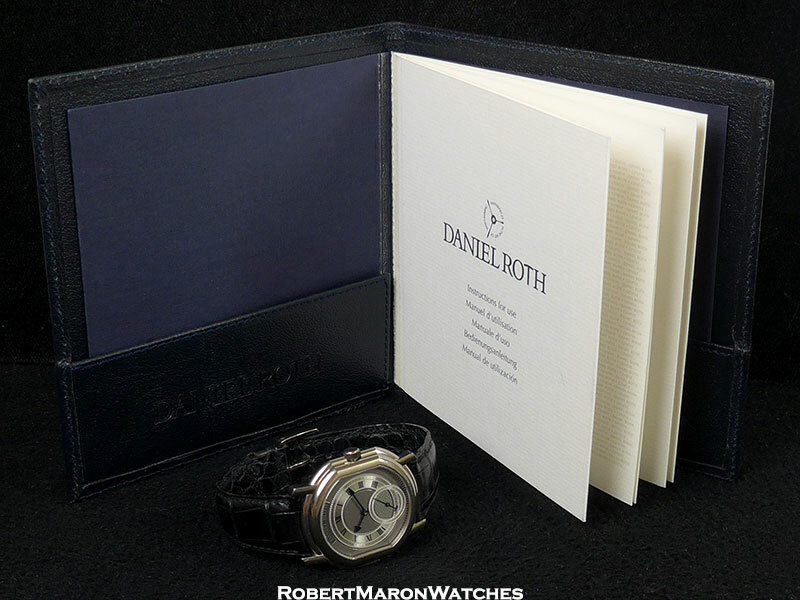 Watch is in mint condition, running and sounding great, with Daniel Roth box and papers.